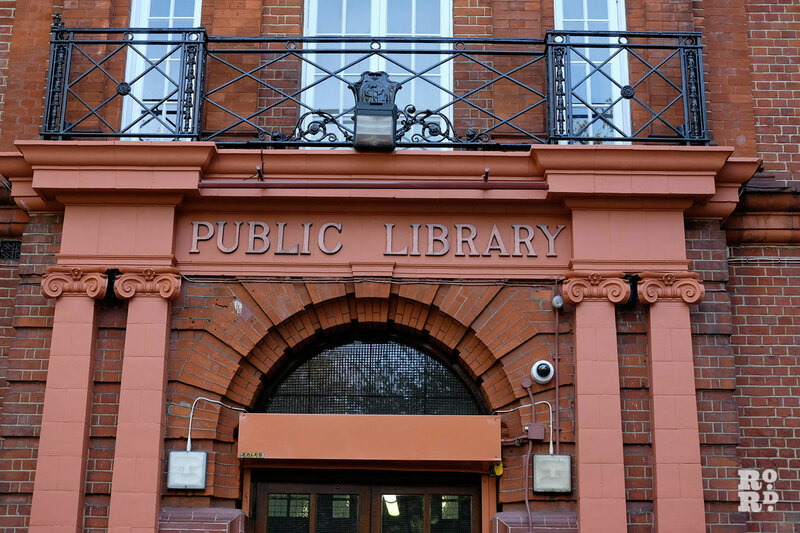 Bethnal Green Public Library in Bethnal Green Gardens offers a serene place to study, read and work, a far cry from when it was one of London’s most notorious private madhouses. 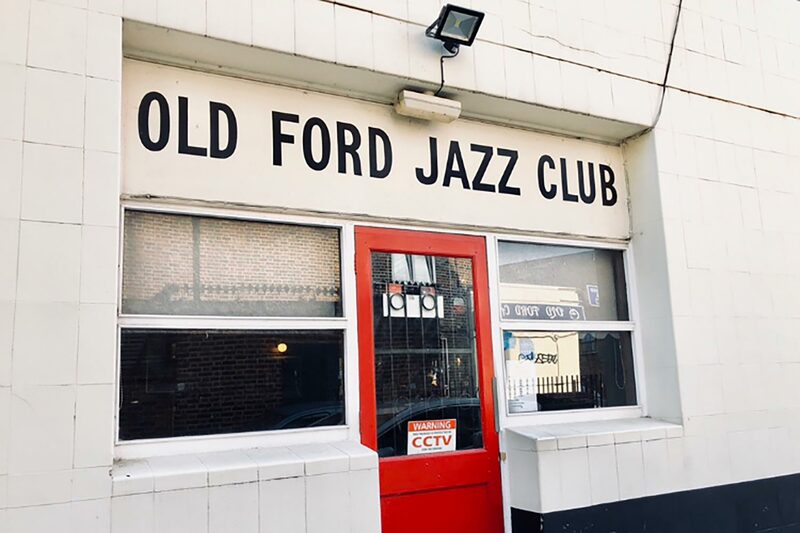 Situated in Bethnal Green Gardens at the entrance of Bethnal Green Underground station, this Grade Two listed building hides a fascinating past, and is a short distance from other notable landmarks including the Stairway to Heaven memorial and the V&A Museum of Childhood. The first known building on this site was a large, whitewashed, timber-framed mansion, built in 1570 adjacent to the Bethnal Green Poor’s Lands (an area of former manorial waste that under a trust deed of 1690 was administered to benefit the local poor) by John Kirby, a rich merchant. Between 1570 and 1727 the mansion was known by locals as Kirby’s Castle. In 1727 Bethnal House was leased to Matthew Wright for £41 a year and he converted it into a private lunatic asylum – Wright’s Madhouse. In September 1800 Thomas Warburton, the owner of Whitmore House asylum in Hoxton, bought Wright’s Madhouse. It was during this period that Bethnal House developed a reputation for cruelty. Famous inmates include Alexander Cruden, the author of the 18th Century best-seller Concordance to the Bible (who escaped after being incarcerated by his greedy business partner) and poet Christopher Smart. Cruden wrote about his vicious treatment at the hands of the sadistic keeper who was later employed to ‘cure’ the madness of King George III. Old stories say that the beds were so close together that they almost touched. Sometimes two or three patients had to share a bed and they slept naked in unheated rooms, most of them chained to their beds. 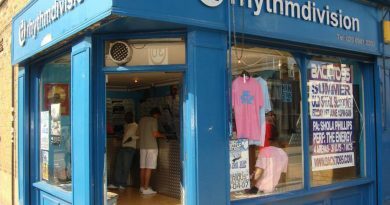 Shortly after the purchase, the building was extended and acquired a new name, the White House. Warburton, who lived next door to Bethnal House in a three-storey 18th century mansion known as the Red House, later moved to Hackney and the Red House also became a private mental asylum. Both the White House and the Red House received paupers from many parts of London and its surrounding counties. These paupers were sent to the asylum by their parishes at a weekly cost of 9s 6d to 10 shillings (48 to 50p). Between 1841 and 1844 the Red House was enlarged, while the White House was demolished and rebuilt at a cost of about £23,000. 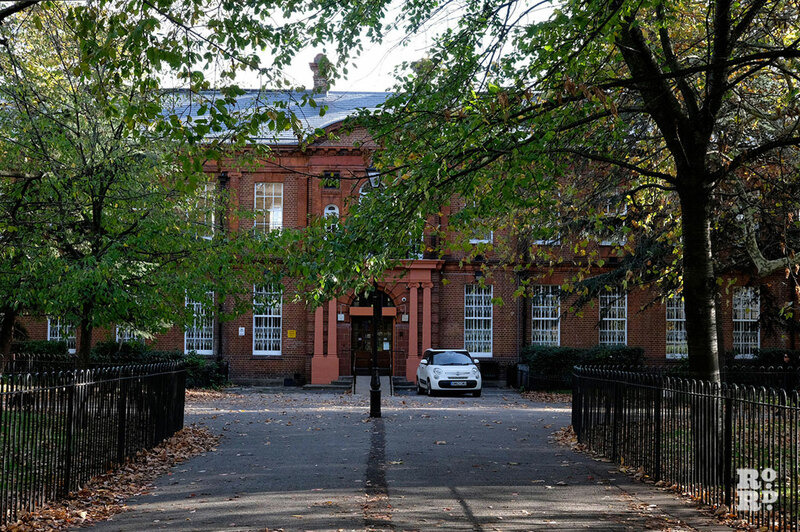 A new male block was built in 1896 in the south-west side of the asylum and the building became the present Bethnal Green Library. 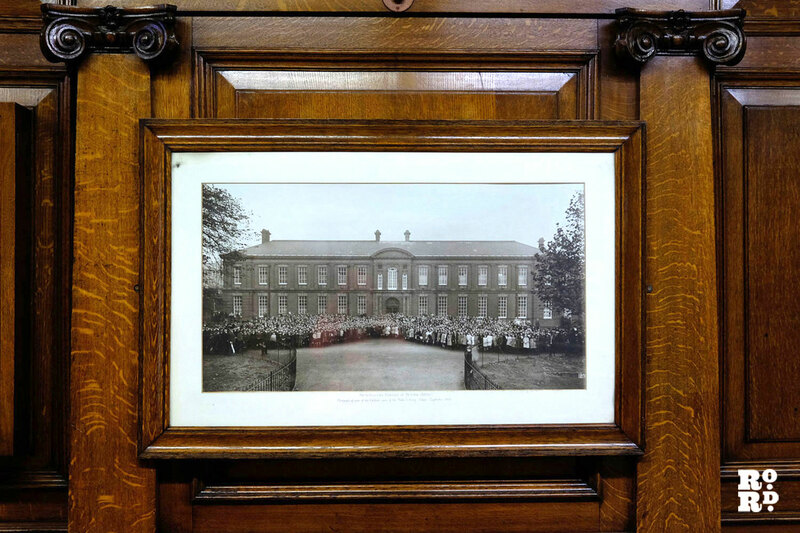 Just 24 years after the male wing was built, the asylum closed in 1920 and Dr John Kennedy Will, its final Medical Superintendent moved the remaining patients to Salisbury. After the asylum closed in 1920, the entire site was purchased by the Metropolitan Borough of Bethnal Green for use as housing. 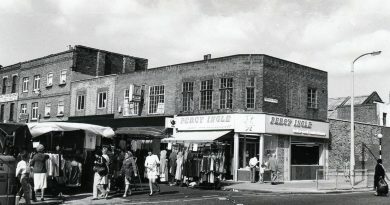 All the buildings, except for the 1896 male wing, were demolished and, between 1922 and 1924 the Bethnal Green Estate surrounding what is now the library was built. The four-storey apartment blocks were each named after a poet – Burns, Milton, Moore, Shelley Swinburne and Whitman. The remaining male wing was redesigned and refurbished by architect A.E. 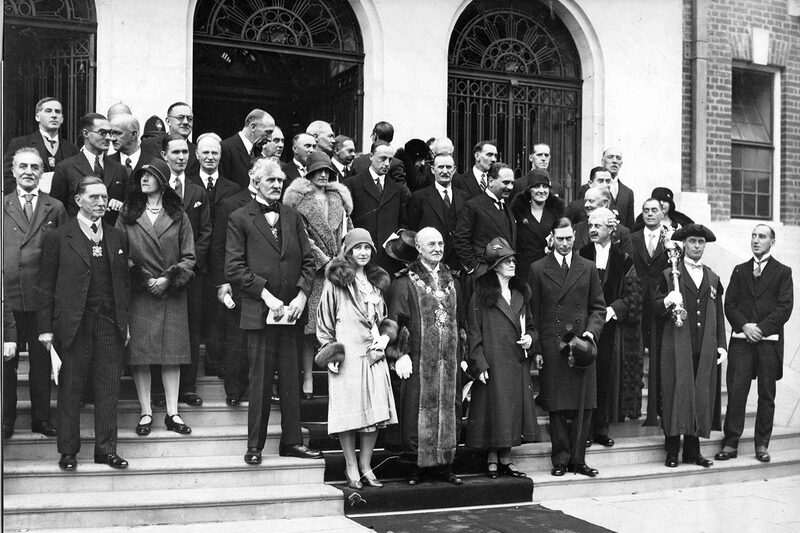 Darby in between the World Wars. The building still retains its 1922 library plan form and Classical interior, which includes the top-lit reading room, panel and plaster side rooms with plaster medallions to cultural heroes such as Karl Marx, Charles Darwin, Richard Wagner, and a fine War Memorial window. On 7 December 2015 the library reopened after being close for eight months for renovation. While the original features of the buildings were kept, the interior and facilities have been renewed to the 21st century standards. The library now has a new Wi-Fi system, surfing space with eight computers to get on the internet, scanning and printing facilities, a new bench for laptop users and more ‘comfort’ seating space for people using their own devices. It also offers two halls available for hire – each can cater for up to 100 people on conference style or 40 in cabaret style layout. A part of the library occupies Idea Store, a network of public spaces that offer free work space and computer access for the community. 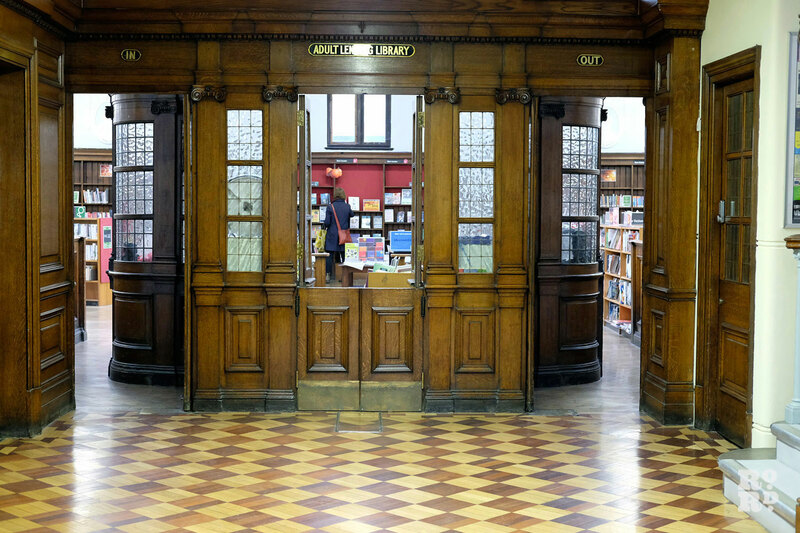 Its Victorian interior of the library is popular among many, and local residents claim that stepping inside feels like going back in time. The building is built in several sections that all come off the central desk: a big adult library, a small children’s library and separate study area. The main library space is open plan and features pillars, plaques and tables hidden behind the bookshelves. The Children’s Library is on your right as you enter the building and from the lobby you can see the huge painting hanging over the play area. 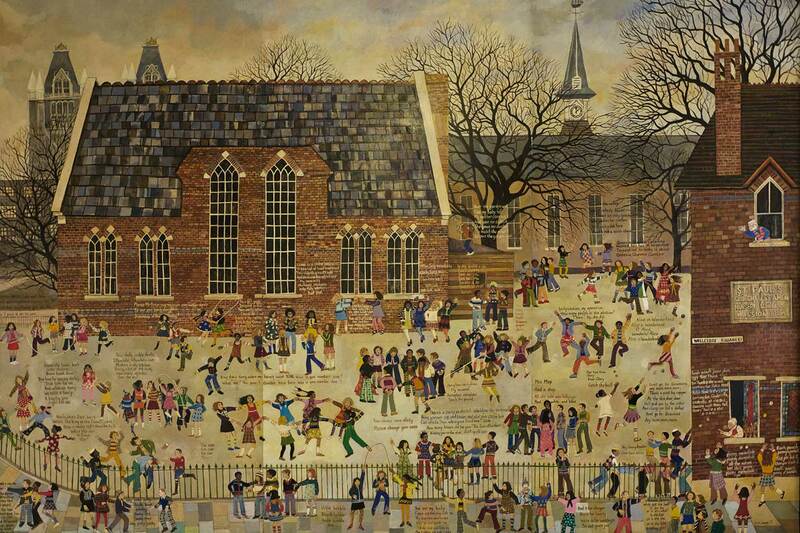 The painting is of St Paul’s School on Wellclose Square and shows children playing in a playground with rhymes inscribed alongside. It was painted by Dan Jones in 1977 and installed in the library in March, 2012. 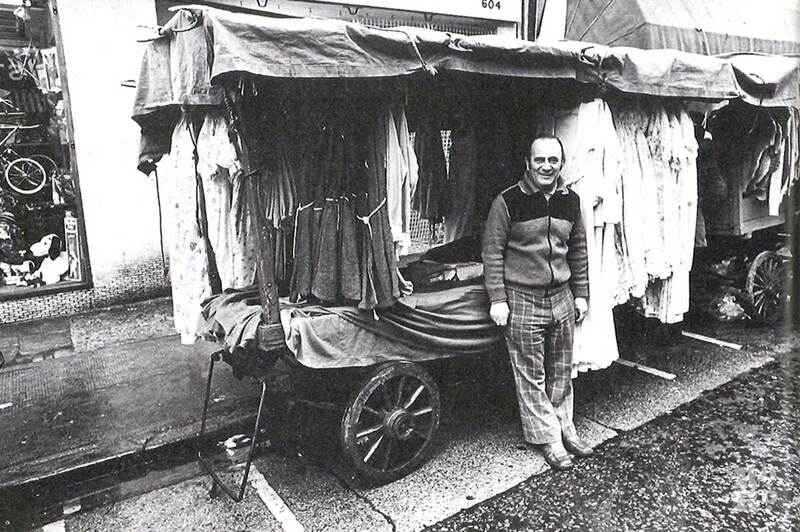 Dan Jones, a well-known local rhyme collector, used to run a youth club in the library in the 1970s. He began to collect rhymes of the children who came to dance and sing at his club. Inspired by Bruegel’s “Children’s Games” he set to work upon the dining table in his room. Inside the library you can find a large selection of books for adults and children, as well as large prints and books in Bengali, newspapers and magazines. There are also scanning and printing facilities and events including story time for babies and pre-school children every day at 10:30am and after-school activities every day from 3:30pm. Want to sound like a local? 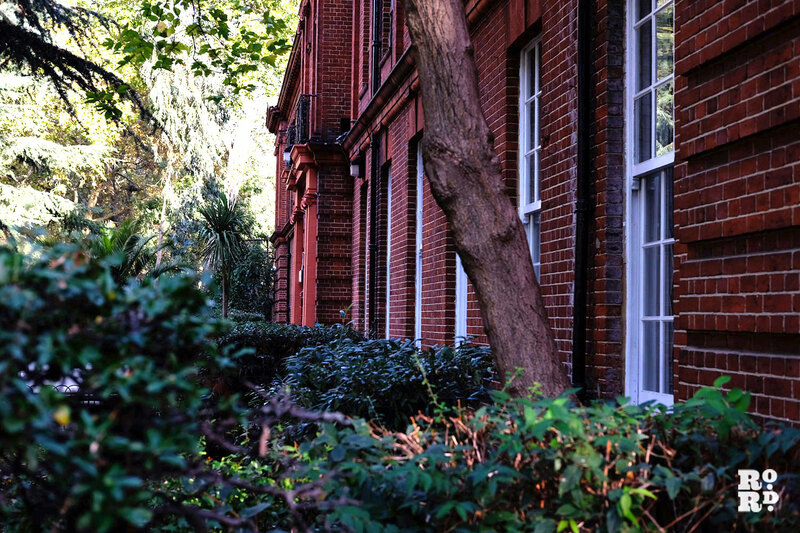 Bethnal Green Gardens, the park in which the library is situated, is still better known by locals as Barmy Park, a reference to the times when it was the home of the mental asylum. 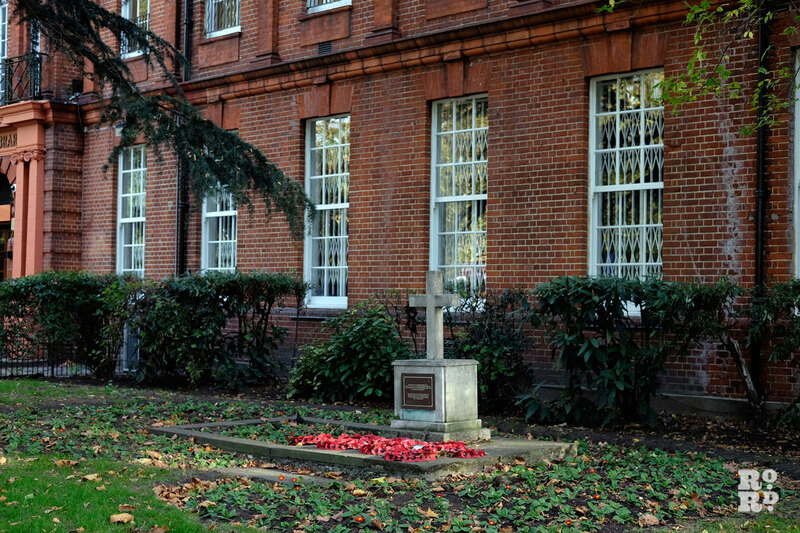 In front of the library, there is a war memorial ‘erected by public subscription in Bethnal Green to the men, women and children of the borough who lost their lives in the Great War 1914-1918 and World War II 1939-1945 and thereafter on active service’.